Procter & Gamble Co. is introducing reusable, refillable packaging on some of its most popular products as part of a new effort that aims to change the world’s reliance on single-use packaging and disposable waste. As part of its partnership with Loop, a circular e-commerce platform developed by international recycling company TerraCycle, Procter & Gamble also will participate in new “collect and recycle” circular solutions that help eliminate waste. Many of P&G’s largest global brands, including Pantene, Tide, Cascade and Oral-B will participate in this innovative platform later this year. Loop is a global packaging and shopping circular solution which aims to improve the environmental performance and convenience standards compared to current e-commerce solutions through packaging that is collected, cleaned, refilled and reused. Loop offers the option to collect used products from consumers’ doorsteps for further recycling or reuse. P&G was the first consumer products company to join Loop, which made its debut at the World Economic Forum Annual Meeting in Davos, Switzerland. The system will be tested beginning in mid-2019 in New York and Paris. Pantene is introducing a bottle made with lightweight, durable aluminum for its shampoo and conditioner. 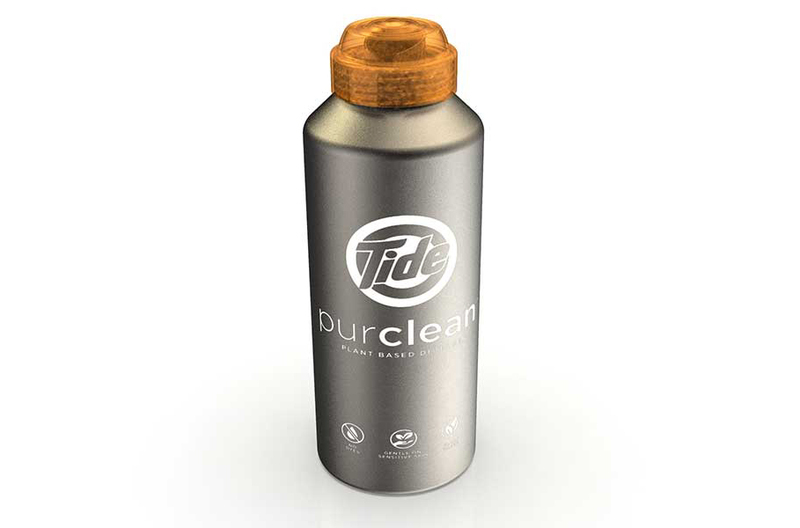 Tide is participating in Loop with its Tide purclean plant-based laundry detergent in a new durable bottle made from stainless steel with a twist-cap and easy pour spout. Cascade has developed a new ultra-durable packaging for Cascade ActionPacs. Crest’s new Crest Platinum mouthwash, will be available in a sustainable, refillable glass bottle. Ariel and Febreze are participating with durable, refillable packaging that also is available in stores, testing a new direct-to-consumer refill and reuse model. Oral-B will test circular solutions for both its electric rechargeable and manual toothbrushes. Oral-B Clic, a new design for manual toothbrushes, features a durable handle equipped with a mechanism that allows consumers to only exchange the brush head. The Loop platform will recycle used brush heads for both manual and electrical brushes. Gillette and Venus will provide travel packs as durable packaging that the consumer will keep in addition to the handle. The used parts and blades from these grooming products will be collected from consumers for further recycling by TerraCycle. Pampers and Always will test collecting used hygiene products from consumer homes for further recycling using proprietary technology developed by Fater, a P&G and Angelini Group Joint Venture. The technology turns used absorbent hygiene products into secondary raw materials for higher value applications. 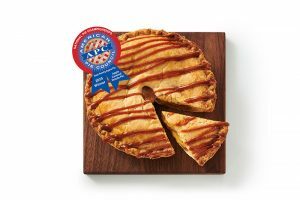 Unilever also has developed reusable packaging innovations across nine of its brands, including four new product formats. The new products will be trialed on Loop. 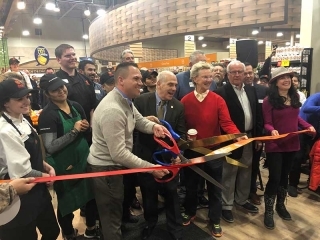 Skincare brand Ren Clean Skincare; Hellmann’s; Love Beauty and Planet; Love Home and Planet; and Seventh Generation will trial new reusable packaging made from aluminum and glass. Three Unilever brands also will be the first to test new formats within the Loop system. Deodorant brands Dove, Degree and Axe will test a premium, refillable deodorant stick called minim. Made from stainless steel, the design is minimal, compact and sustainable, offering a new consumer experience without any unnecessary materials, says Unilever. 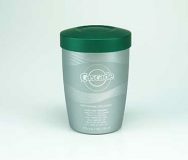 Dependent on usage, the product will last on average one month, with the packaging designed to last at least 100 cycles. This means that each pack is expected to last about eight years, with the potential to save up to 100 packs from being thrown away.